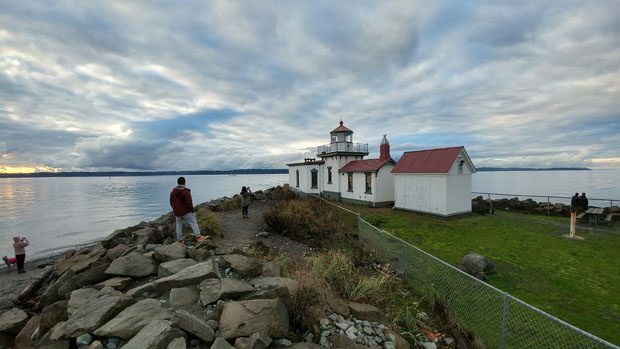 West Point Light at the westernmost point of Discovery Park, which is largest park in the City of Seattle. 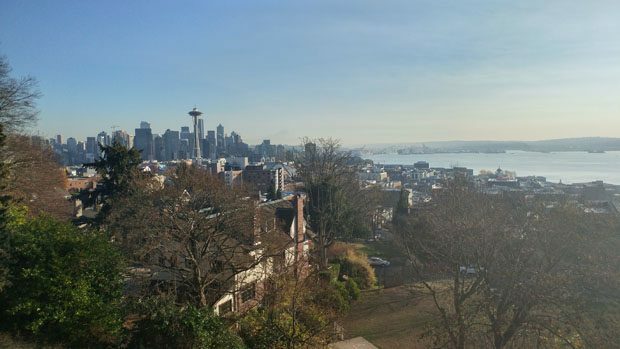 Since I just moved not too long ago, I’m not too familiar with the Seattle area, so whenever I have the chance I try to go out and explore. 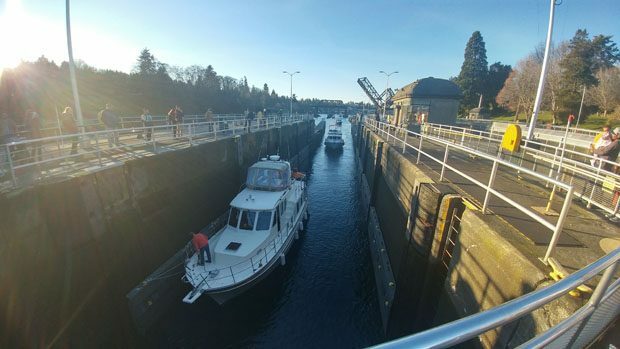 This winter has been colder and more snowy than usual by Pacific Northwest, but I made the best of my opportunities. 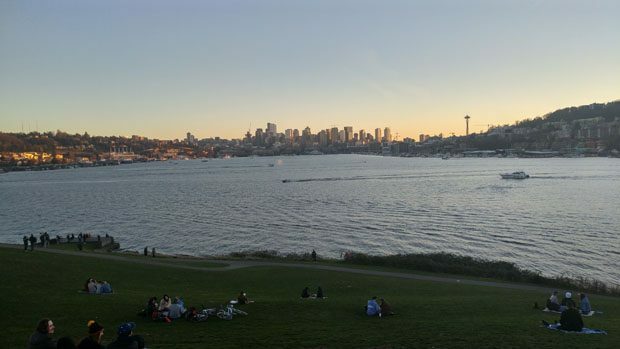 Here are just some photos of my urban adventures in the Seattle area. 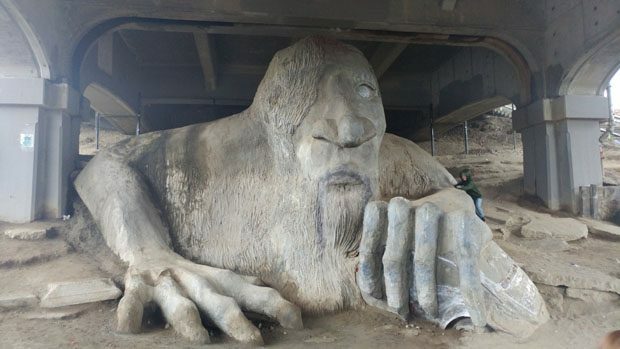 Lurking under the Aurora Bridge lurks the Fremont Troll, just an example of the weirdness that exists in the area. 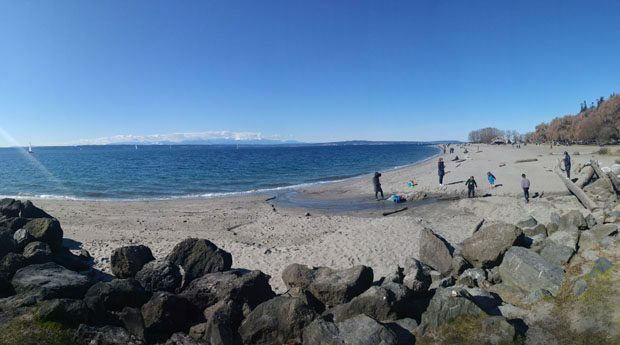 Sunny winter day on the beach at Golden Gardens Park in Seattle. 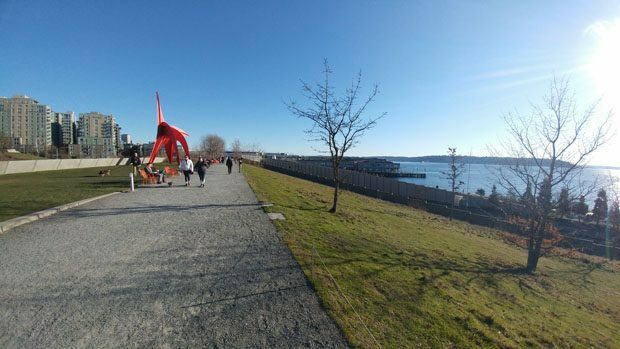 The Olympic Sculpture Park next to the Puget Sound. 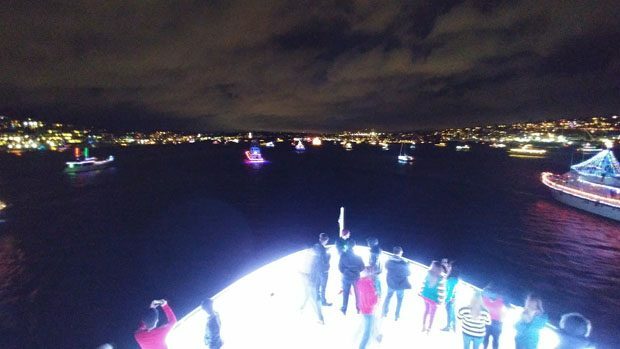 Fun winter nighttime cruise on Lake Union. 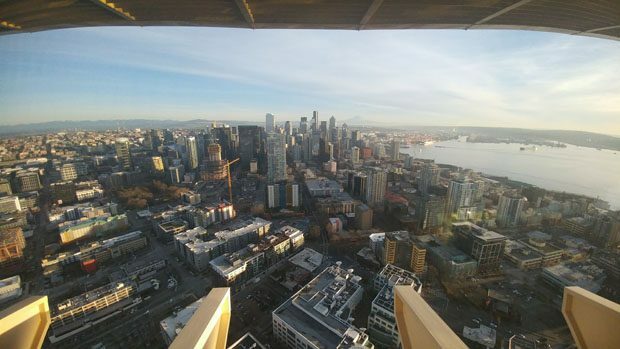 Went to the Space Needle and discovered that it has been renovated. 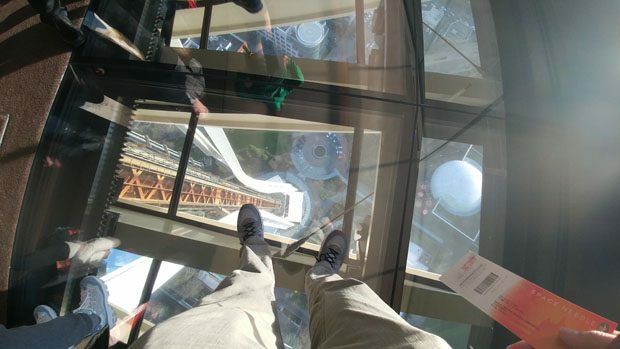 Now there is a revolving glass floor on the lower level. 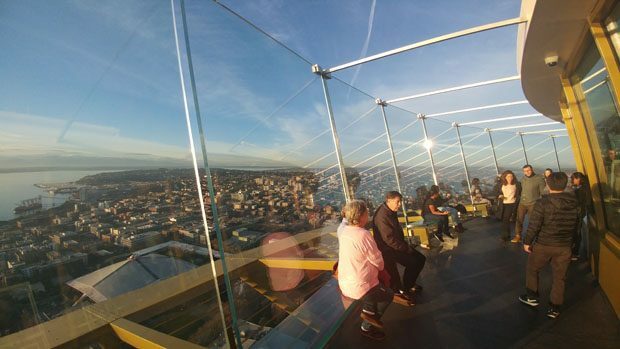 The city view from the Space Needle is pretty darn good. 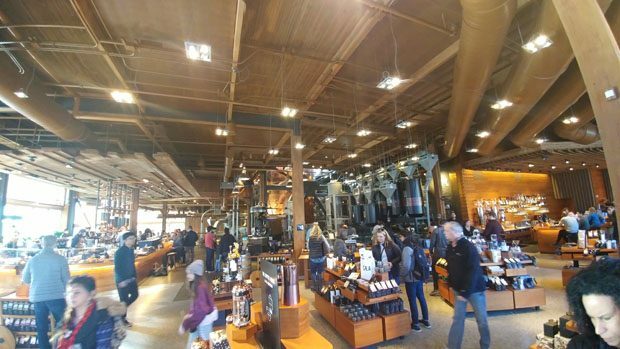 Seattle is of course where Starbucks is headquartered, and so there is a Starbucks Reserve that serves fancier and more expensive items than your regular Starbucks. Visited the campus of the University of Washington. 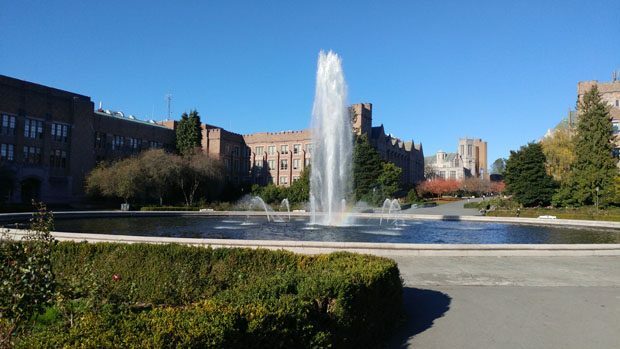 UW has a pretty nice campus, and here is the centerpiece fountain. 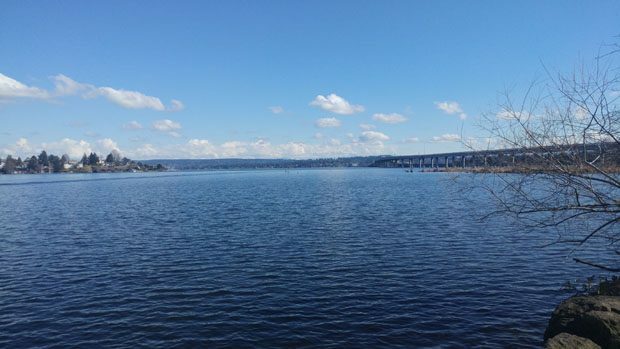 View of Lake Washington from the Washington Park Arboretum. Went there a little early and there weren’t many flowers to photograph. 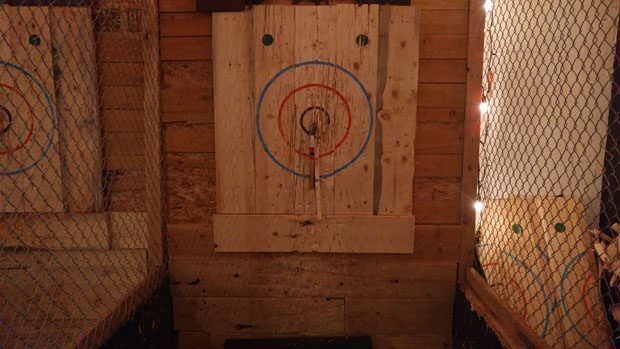 Tried axe throwing the first time. Took a few tries before I could get my throws to stick. I actually hit the bullseye this time. 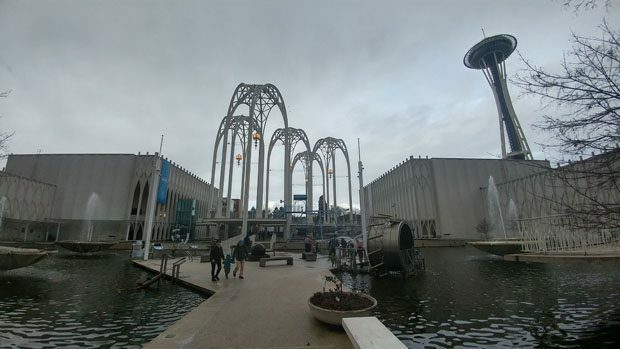 Went to the Pacific Science Center to learn some science. 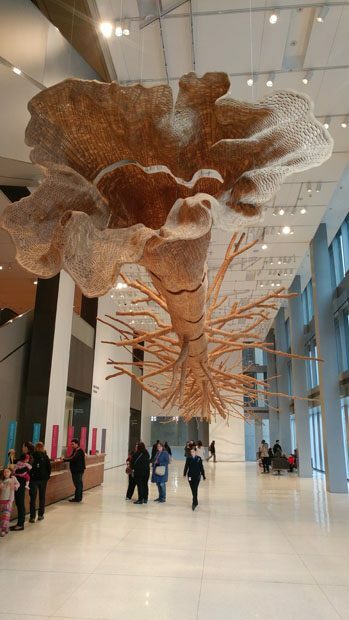 It’s mostly catered towards kids, but the bugs and butterfly room are interesting. 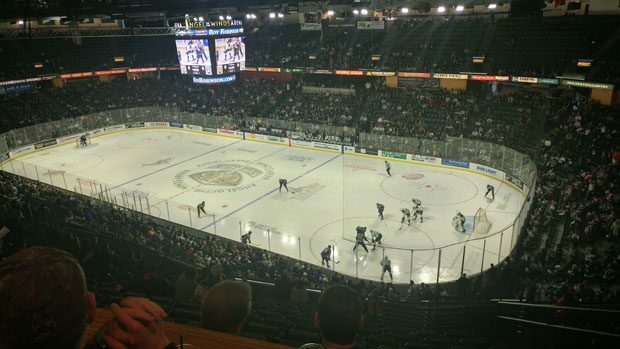 First time attending a WHL junior hockey game at the home arena of the Everett Silvertips. 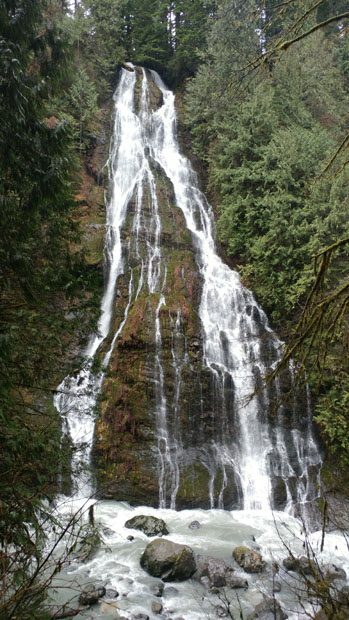 I even managed go out for a few hikes in the low lying areas. There are plenty of mountains near Seattle, but they have snow and ice in the winter, and I don’t have the equipment to handle those situations. Maybe next winter I’ll try out some real winter-hiking or snowshoeing. Winter hiking in the Cascades. 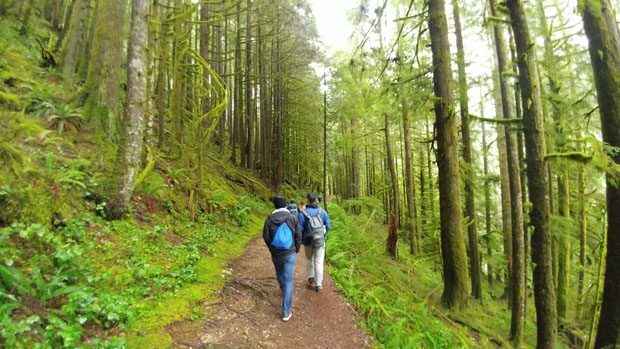 It’s surprising how lush some of these old growth forests are even in the winter. 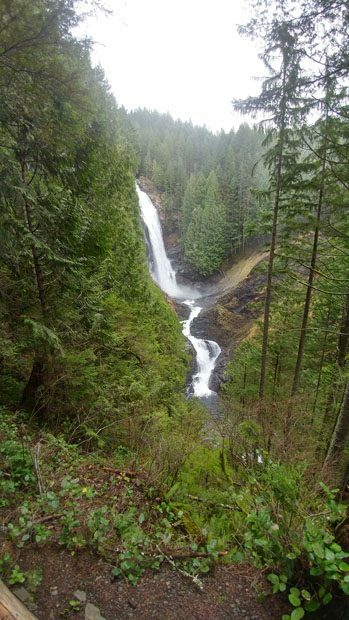 It wouldn’t be called the Boulder River Falls trail without some waterfalls. The fact that it snowed more than usual meant that it was a good season for skiing and snowboarding. I ended up going skiing 4 times this winter, which is probably my busiest ski season since grad school. 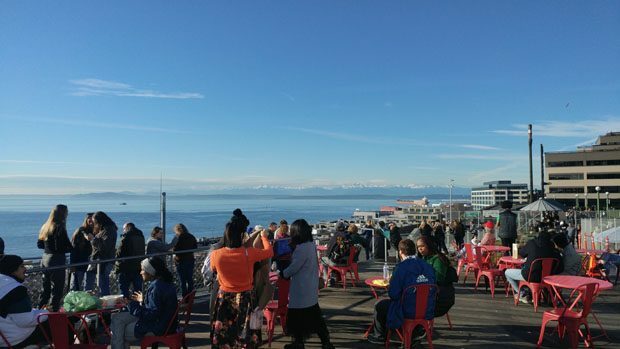 I visited all three of ski areas close to Seattle (Crystal Mountain, Stevens Pass, and the Summit at Snoqualmie) plus Grouse Mountain back in Vancouver. I definitely improved this season, and I’ll try to get some more skiing in next winter. Below are some videos and a photo from those outings. 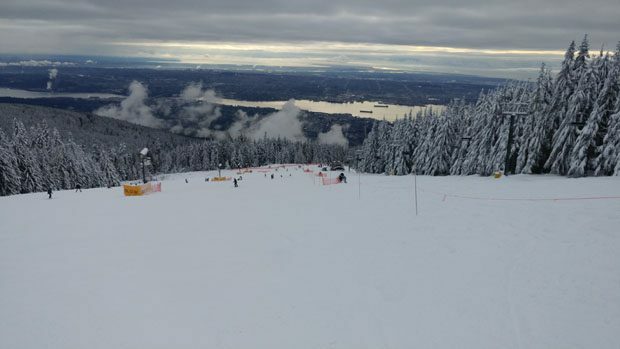 Took about 2 hours to get up the mountain and get my ski rentals, but the view from the ski slopes of Grouse Mountain are marvelous. 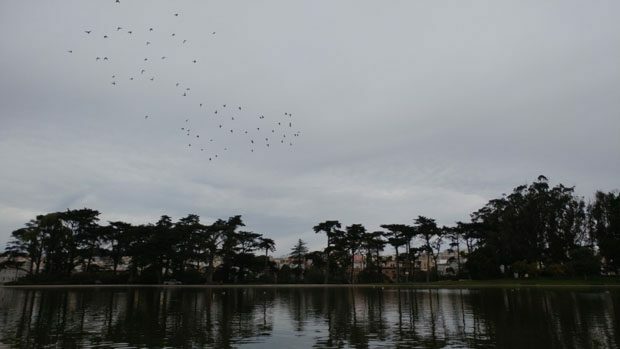 Lastly, I also traveled to the Bay Area during the winter. 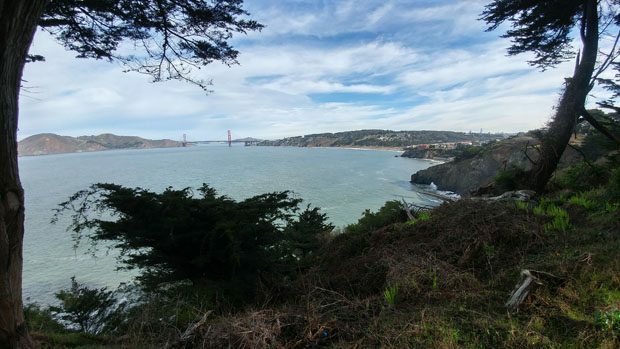 It was for work, but I took a Saturday to explore Lands End and Golden Gates Park in San Francisco. 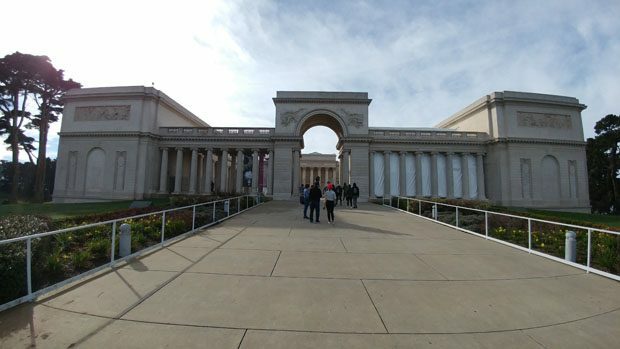 The Legion of Honor in Lands End. I didn’t actually go into the museum though. That’s all for this post. I’ve started doing “real work” at my new employer, and things are going fine so far. I think expectations for me are still low right now because I’m still pretty new to the company, but work will probably ramp up as time goes on. 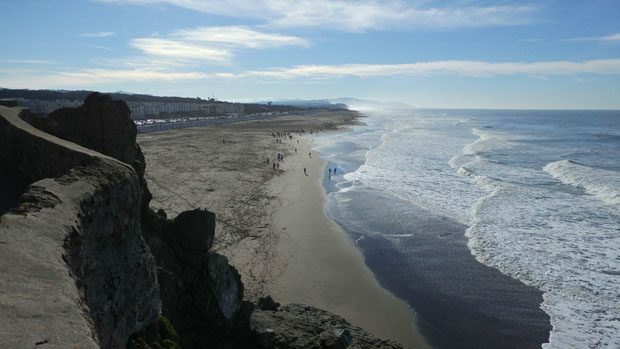 While I make progress with my career, I’ll continue to explore and travel and post more updates here.